On a recent visit to Aveley Primary School in Essex I was struck by the art work I saw and how it must add to the children’s learning if only in a subliminal way. 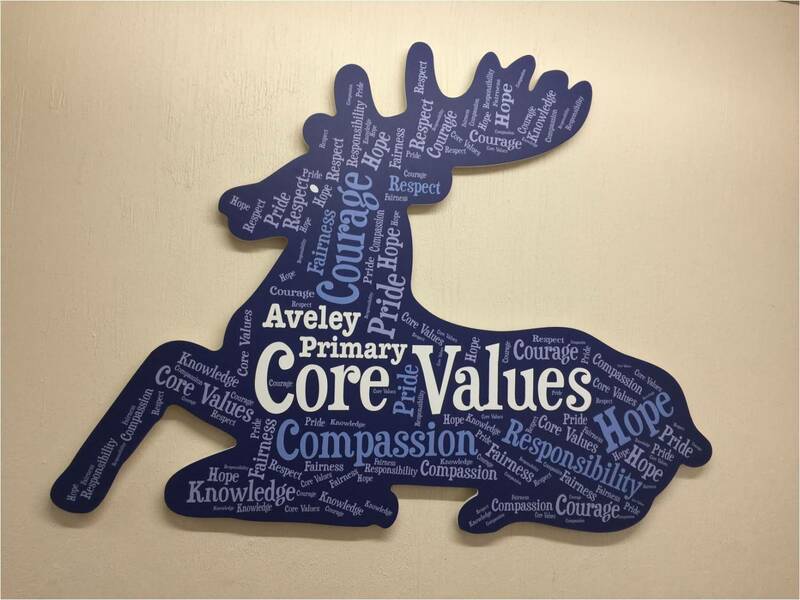 The shape of the school logo has been used to illustrate its values. The school is a large one with lots of corridors and the values are attached to the beams, so wherever you walk you are reminded of words like Courage, Compassion, Hope and Pride. 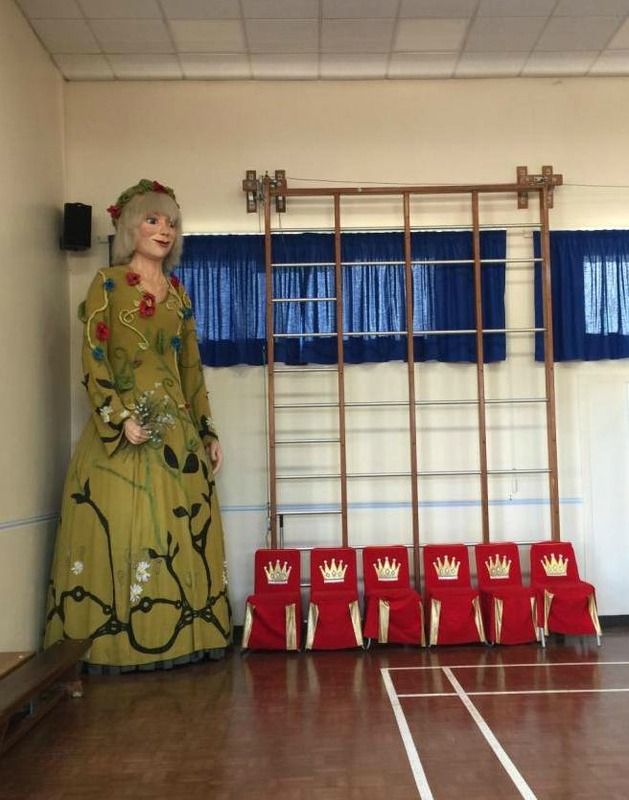 Avelynne is a giant created by Strange Cargo who worked with the school as part of their Giants Projects based on the Geants found in France and Belgium. The project was part of the school where the staff had the opportunity to explore their own creative abilities, and to work aspirationally to inform future projects for the school and wider community. When I left Aveley Primary School after the first day, it was dark. 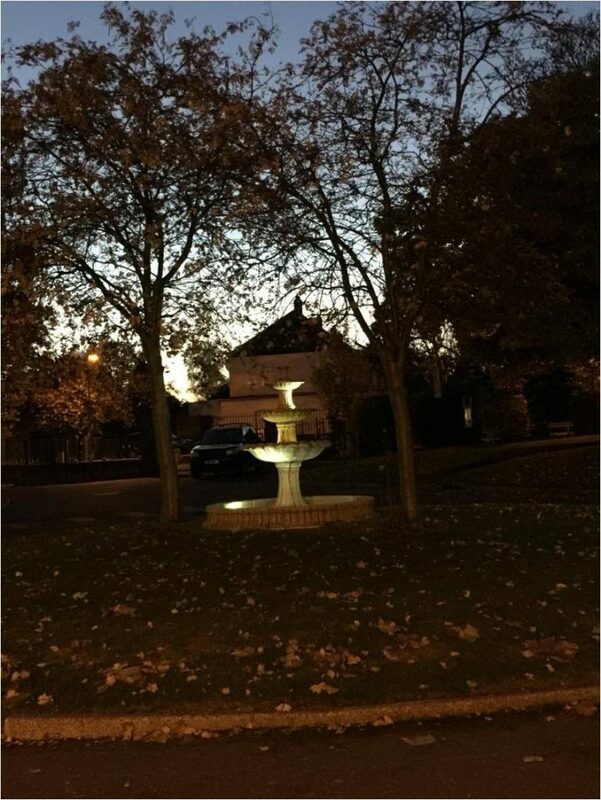 I got such a wonderful surprise as I walked to the car park to see this beautiful sculpture in the school grounds. No doubt int eh spring and summer the water would cascade from it. What a beautiful environment for children to learn in! Art surrounds them and I’m sure that although they take it in without thinking, it will stay with them long after they leave the school. What art was part of your learning environment? Gosh, some much art which truly enhances any kind of environment, and how marvellous for the children to have this in their school! I thought it was great that it was understated, just like art should be! Lucky children having such an inspiring place to learn! I agree Tess. It did make it feel calm.